MWM NEWS BLOG: Featured. Omagiu Magazine #9. 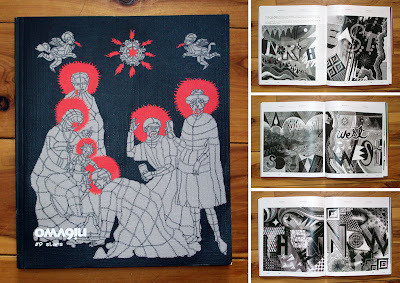 Omagiu Magazine is an amazing Art/Culture Magazine from Romania. I was asked to put together these three spreads for the current Issue #9 - Omagiu "Stars". The issue is really awesome, these guys work hard to expose art and design you don't see in other mags. Thanks much guys and gals of Omagiu. Buy Issue #9. Click-Zoom.